Private counselling practices: There are many private counselling practices in Perth and most can be found using a Google search. Private practices will have different schedules of fees and may have one or many therapists available for you to see. It is important to check that these counsellors are qualified, insured and abide by a Code of Ethics. Community based organisations and programs: There are a number of community based organisations that offer counselling services in Perth. These include Relationships Australia, Anglicare and the Stirling Support Program. The best way to find out if you are eligible and what services are available to you is to contact these programs directly. Employee Assistance Programs: Many workplaces now have Employee Assistance Programs (EAP) available to their employees to look after their mental health. These programs may offer a number of counselling sessions to their employees and sometimes include family members. The HR Department at your workplace may be a good place to check if your employer has an EAP available to you. Centrelink or Disability Services: If you are receiving a pension, your Perth Centrelink and Disability Services offices may be a good place to ask if they can assist you to find a counselling service in Perth. These agencies are often linked to other community service providers where you may be able to access a local Perth counsellor. NDIS: The National Disability Insurance Scheme (NDIS) can pay for supports including NDIS counselling and psychology services if reasonable and necessary to reach a participant goal. To find out if you eligible contact NDIS or Vision Counselling and Psychology. What counselling qualifications and specialties does the Counsellor have? When looking for a local Perth counsellor, it is good to check the counsellors qualifications and specialties to ensure that the counsellor works in a field that is relevant to your needs. If you are seeking marriage counselling, is the therapist an experienced relationship counsellor? Are you seeking counselling for anxiety, does the therapist specialise in anxiety treatment? If you are seeking assistance with a mental health disorder, is the therapist trained and experienced to treat this particular disorder? Remember it’s ok to ask these questions to your counsellor and it can help you to make an informed decision about choosing the right counsellor for you. When and where does the Perth counsellor operate? Other considerations for choosing a Perth counselling service is to find out where the service is located such as North of the river or South of the river. Does the counsellor operate from home? Is the counsellor part of a community organisation or are they working from a professional office in Perth? When is the office open? Are you able to take time off work or does the counsellor offer after hours counselling or weekend counselling appointments? Does the counsellor have a waiting list or are they able to see you within the week? Counselling is a very personal process. Do you feel comfortable to ask a close friend or relative if they know a good counsellor in Perth? If so, that may help you to choose a counsellor. If not, that’s ok too. A good counsellor will help refer you to another counselling service if they are unable to assist or do not specialise in the area that you need. Remember – It’s ok to change therapist! Talk to your counsellor if you are not happy with the service or you are not feeling like the therapy is going well. Don’t be afraid to change counsellor if you need to. It’s ok to change counsellors and most counsellors will understand that you need to do what is right for you. 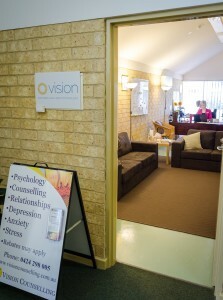 For information on Perth counselling services or Psychologists Perth, or NDIS Counselling contact us today.